One of the home components that has a huge effect on the value of your home and how it looks is the siding that is on the home. One of the most popular types of siding used today is vinyl siding. However, with so many different types of vinyl siding that is available and designs and colors available it may be difficult to find the right vinyl siding for your home. In this article we’ll look at some common items you’ll need to know when considering getting new vinyl siding in Ann Arbor Michigan and what you may need to avoid. Has the siding on your home not been living up to it’s potential? Maybe it’s starting to look a bit dated and old and not portraying your home as it should. Sometimes siding can fail and start allowing water to get behind the siding which can lead to all sorts of problems with the siding and the sheeting that is behind the siding. Replacing your home’s siding and installing new vinyl siding on your Ann Arbor Michigan home can give it an updated look that will make it look amazing. New siding installed on your home can also stop any problems when your current siding is failing. Here are some tips to help you get the most from your siding project in Ann Arbor Michigan. Like many other home improvement components there are many different qualities that you can choose. Higher quality components will almost always look better, last longer, and have better warranties than lower quality counter parts. So when you choose siding for your home make sure you choose a higher quality siding. Higher quality siding will have a longer warranty and will also be thicker in most cases. High quality siding may also have an additional layer of protection to help prevent the siding from fading as well. When choosing a siding for your home make sure you always use a higher quality siding. While it may seem like a good idea to choose a wild and outrageous color for your new siding for your home it may have a negative effect on your home’s value. One of the best colors you can choose when getting new siding on your Ann Arbor Michigan home is a neutral color such as white, light gray, or beige. Neutral colors are much better when it comes to getting a better resale value of your home. While you may like a dark blue home, studies have shown that if you plan on selling your home later, choosing a neutral color is best. You’ll also want to consider what the other homes in the neighborhood are using as well. A neighborhood that is bright with pastel colors on their siding may be more inviting for a more aggressive siding color. In many neighborhoods there are also rules that should be followed. Home owners associations are different and you may need to check what color siding as well as the pattern that can be used. We’ve seen some home owners associations that only allow a certain type or color of siding in order to keep everything in the neighborhood uniform. 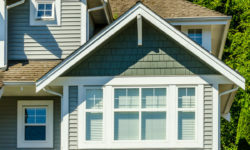 You’ll need to check with your HOA for information on the vinyl siding you can install on your Ann Arbor Michigan home. One other thing you’ll want to do no matter what type of siding you are planning on installing is to always use a qualified siding contractor in Ann Arbor Michigan. Having siding that is not installed correctly will stick out like a sore thumb and any time you have new siding installed you need to ensure you use a properly qualified contractor. One of the best home improvement contractors in Ann Arbor Michigan that offers siding work is A2 Home Pros. 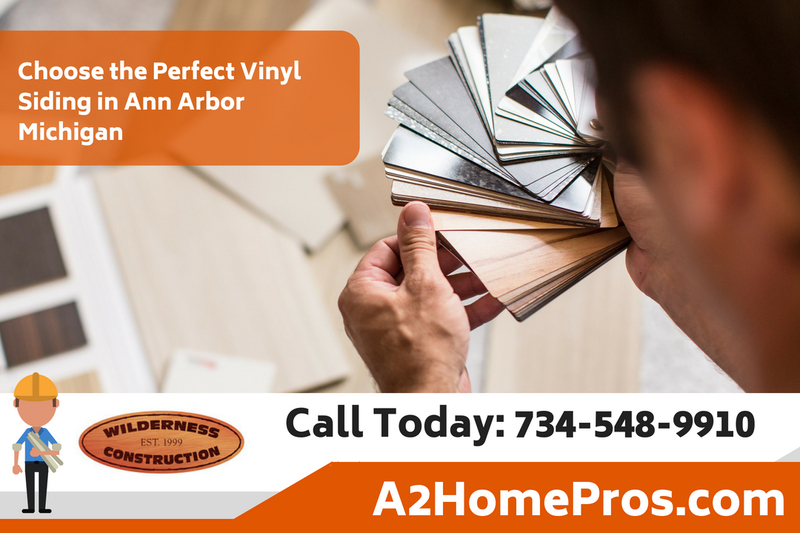 A2 Home Pros offers free estimates for siding projects in Ann Arbor Michigan. Call today at 734-548-9910 for more information on your siding project and to schedule a free estimate. NextDo You Want Windows in Downriver Michigan That Are Energy-Efficient?